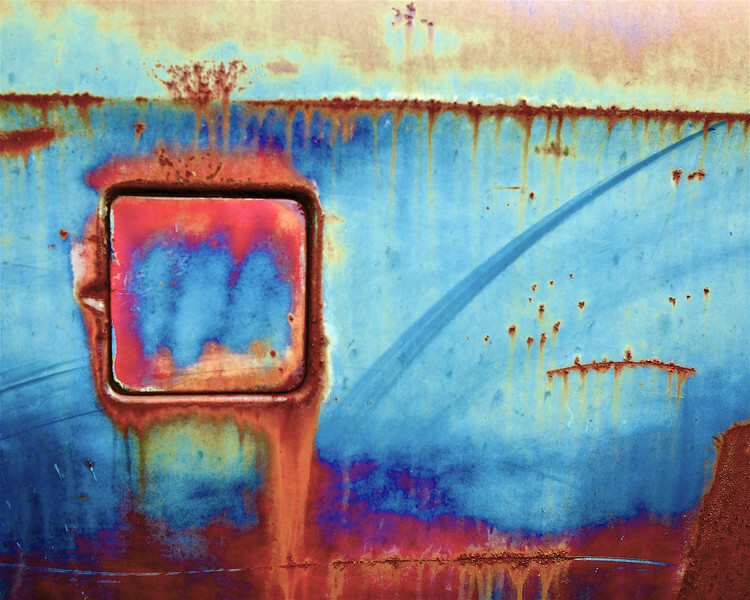 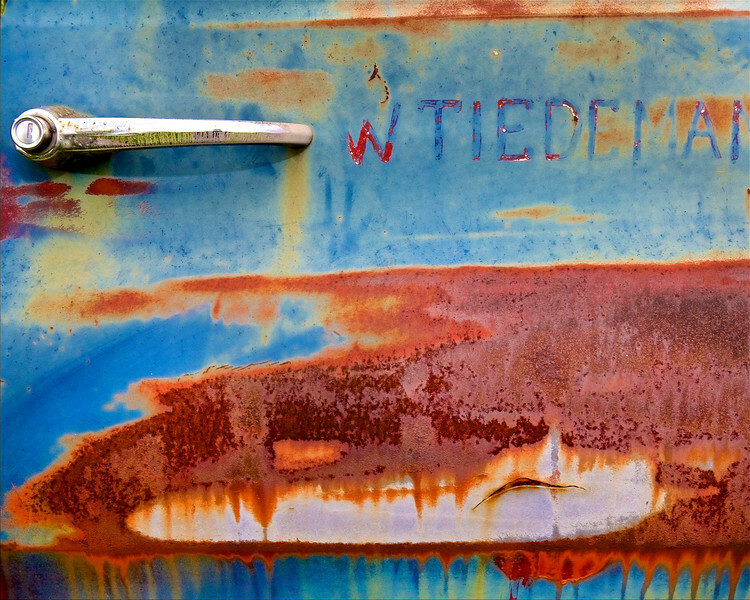 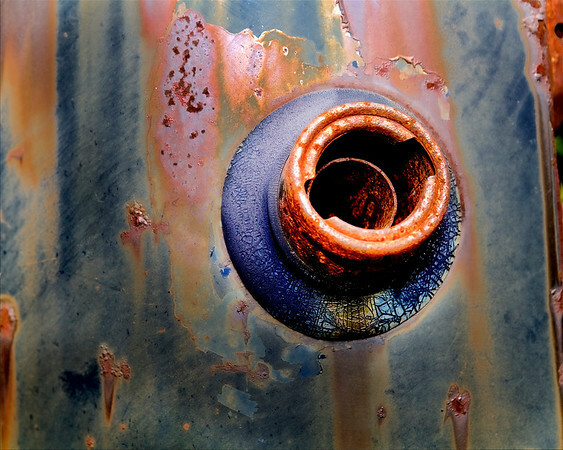 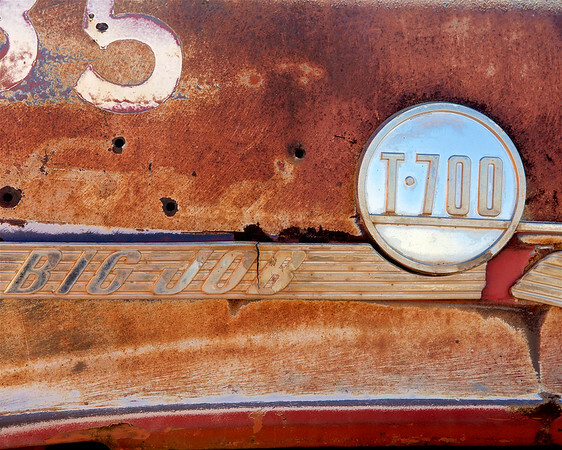 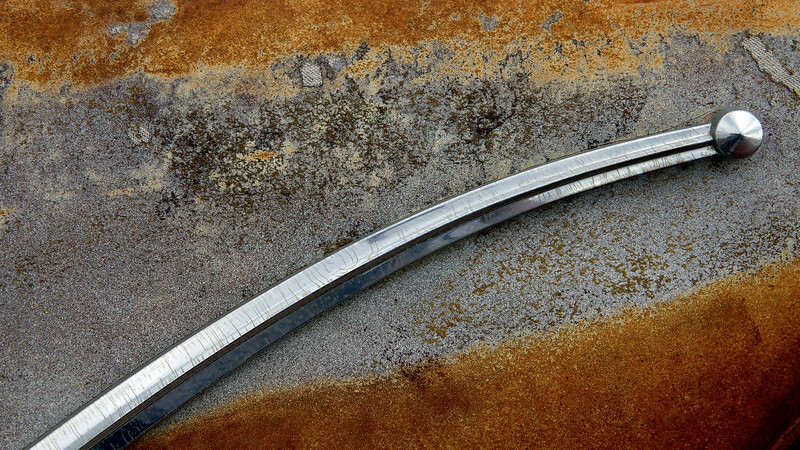 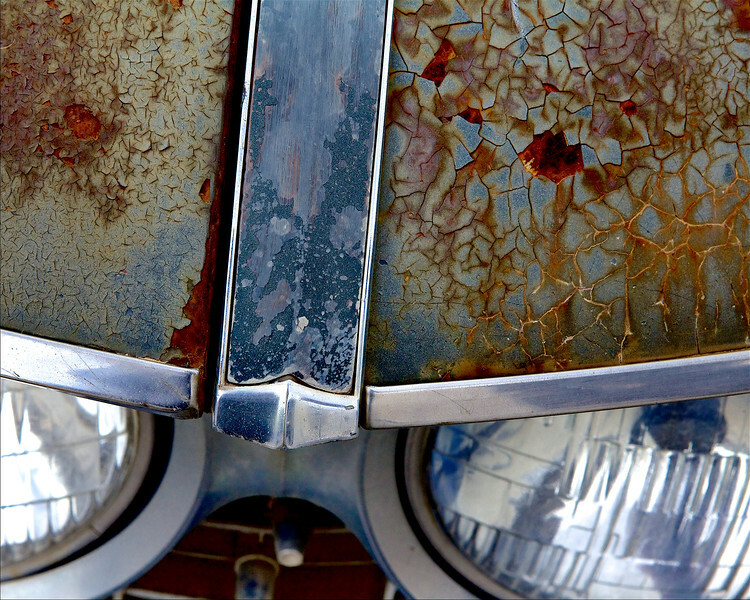 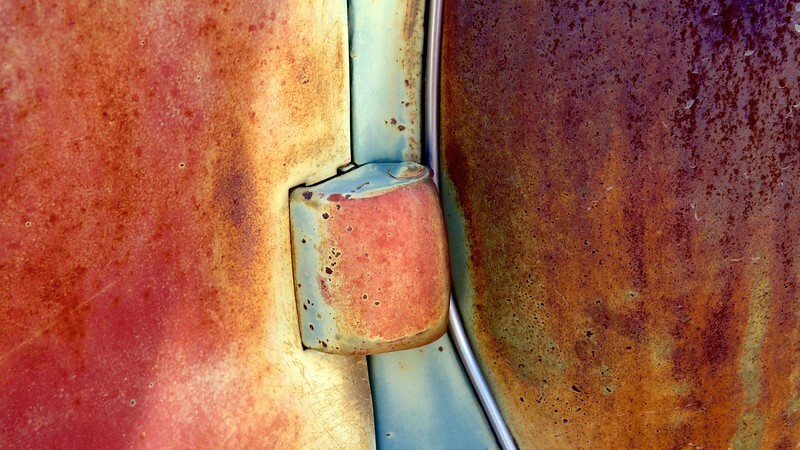 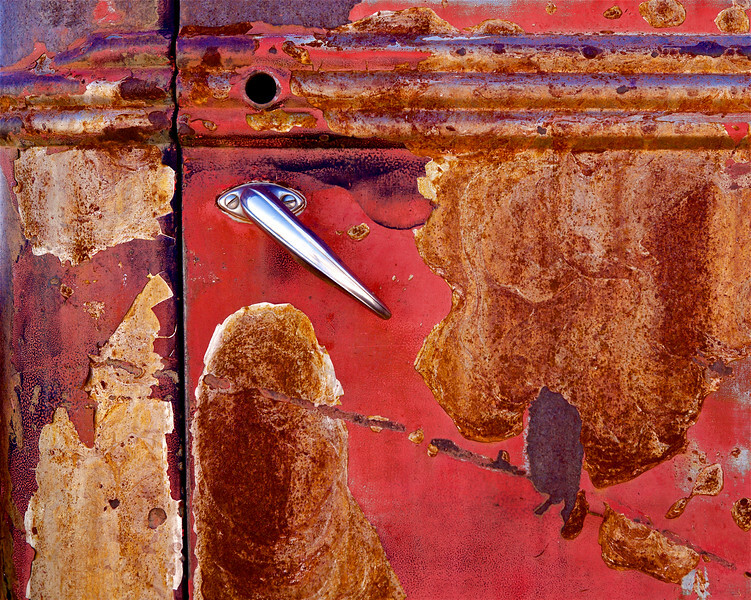 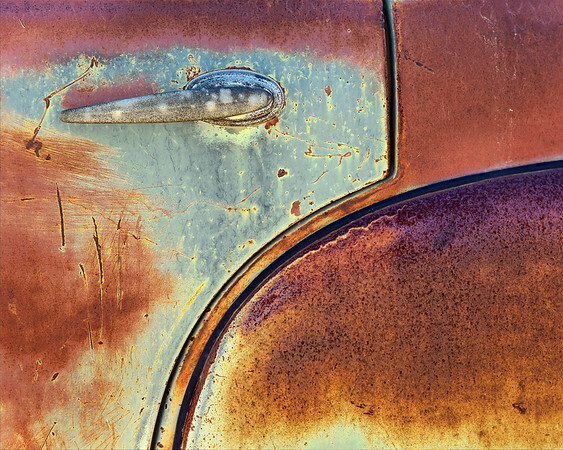 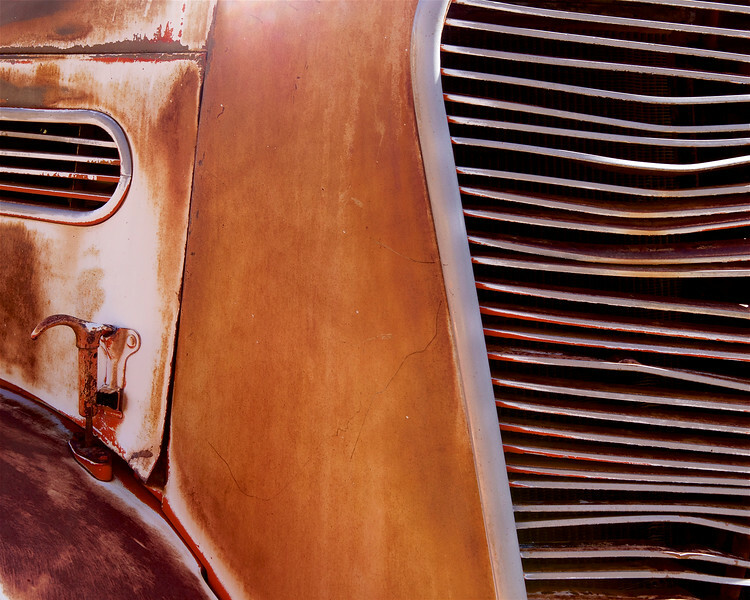 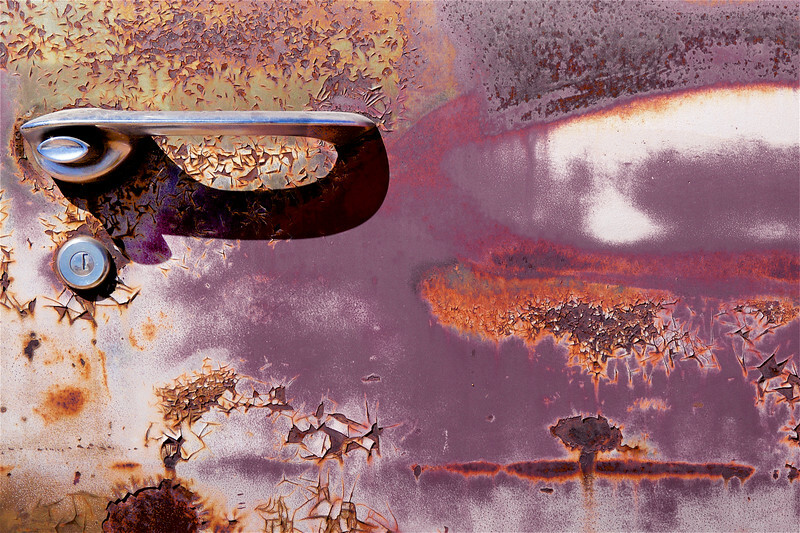 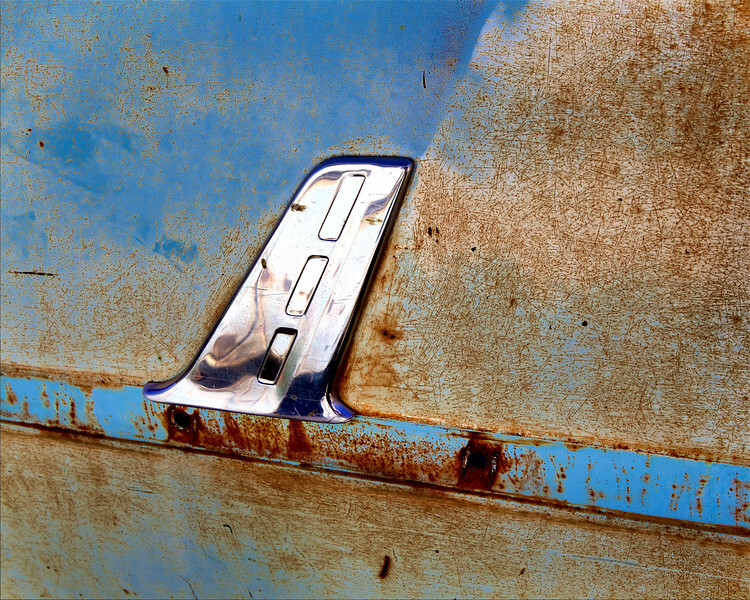 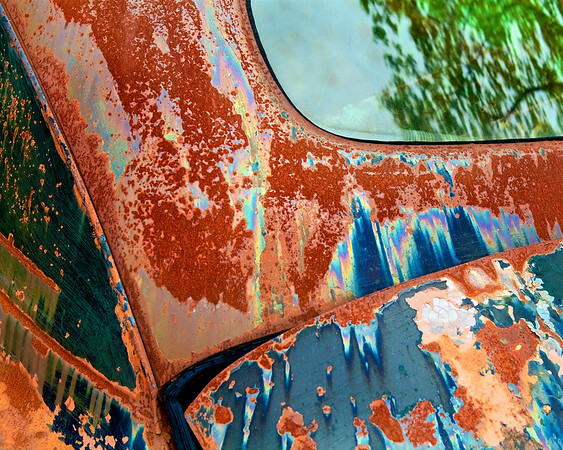 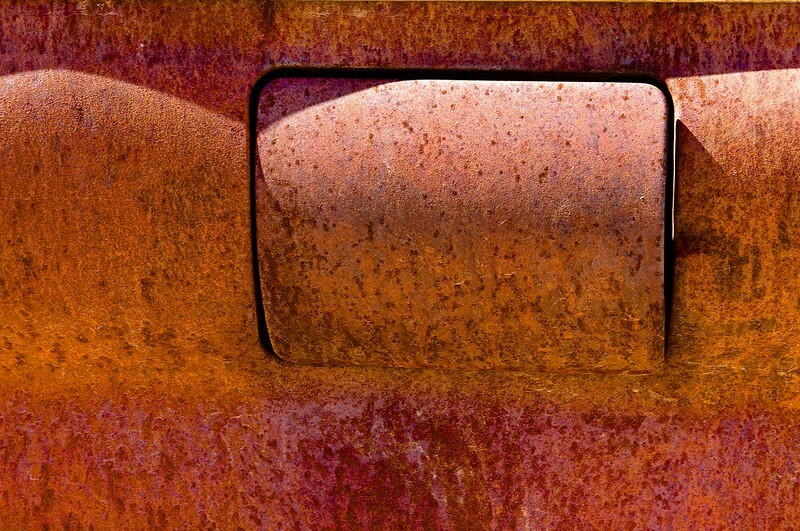 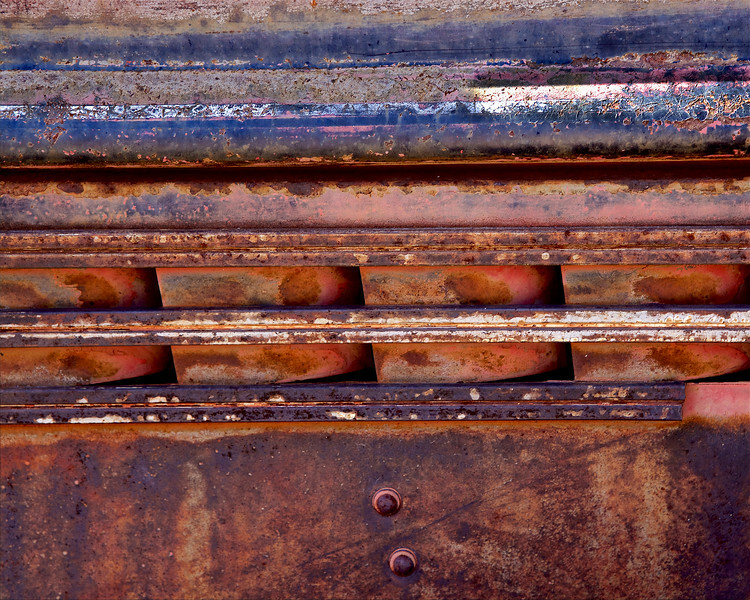 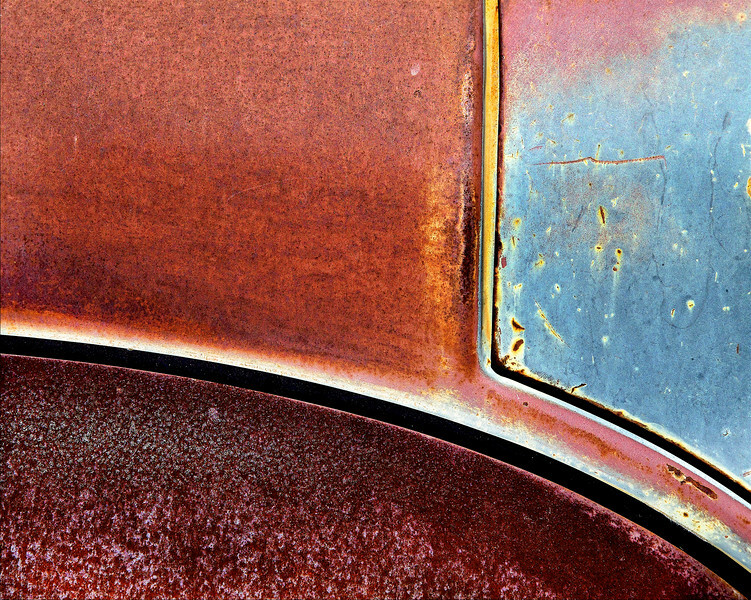 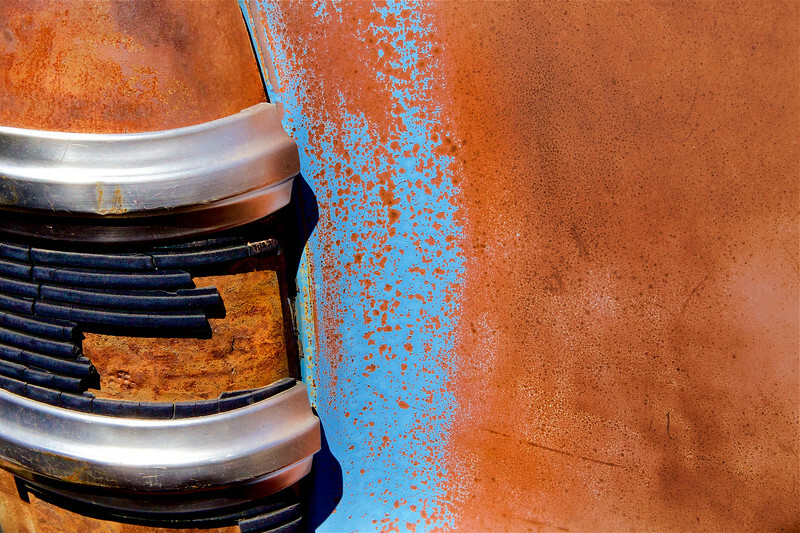 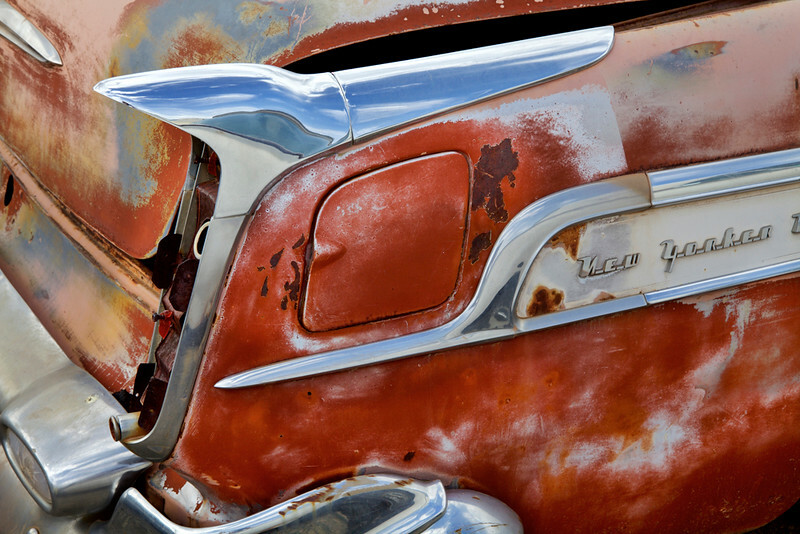 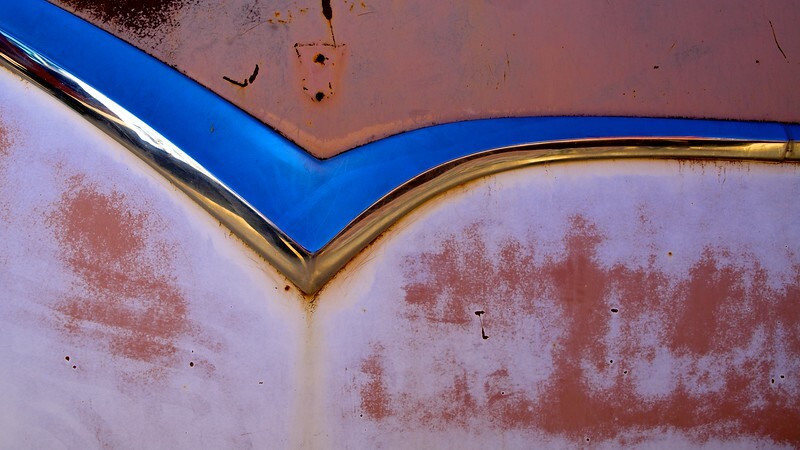 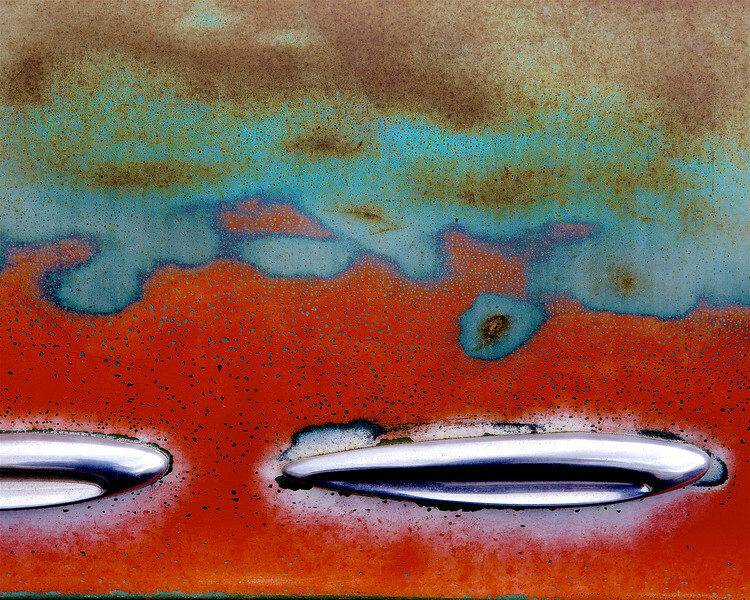 Slightly less abstract rust images (details in the image may help viewer identify subject as an abandoned automobile). 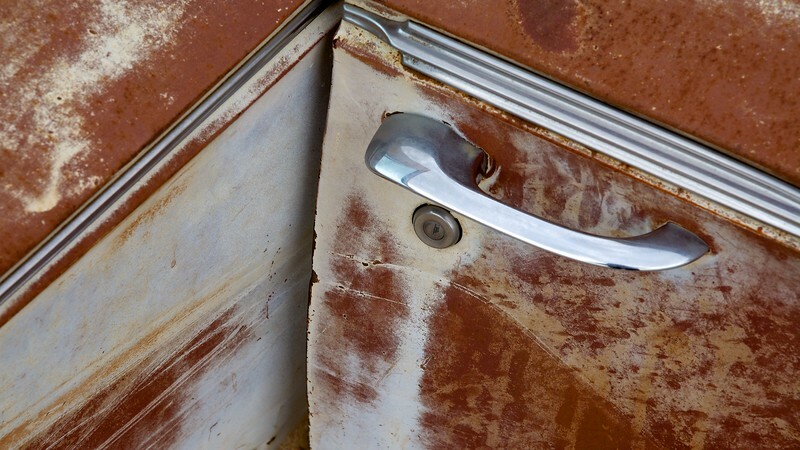 Doors opening or closing? 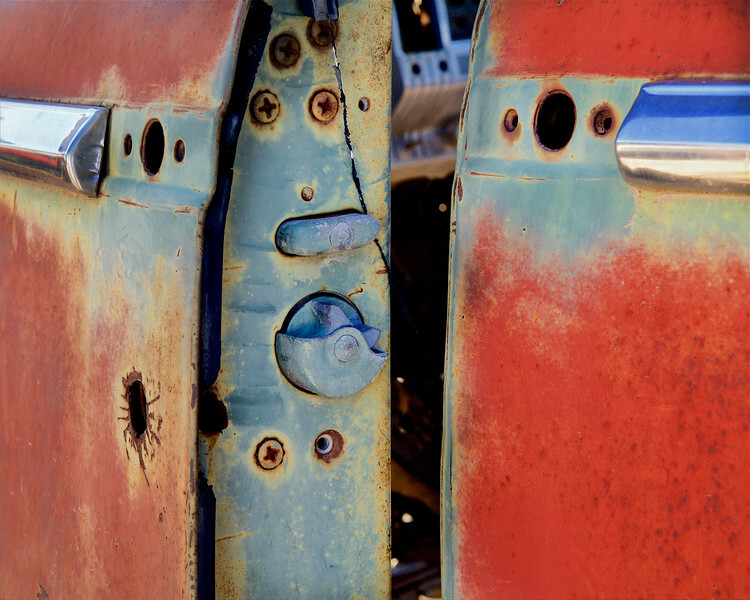 Motion or no motion? 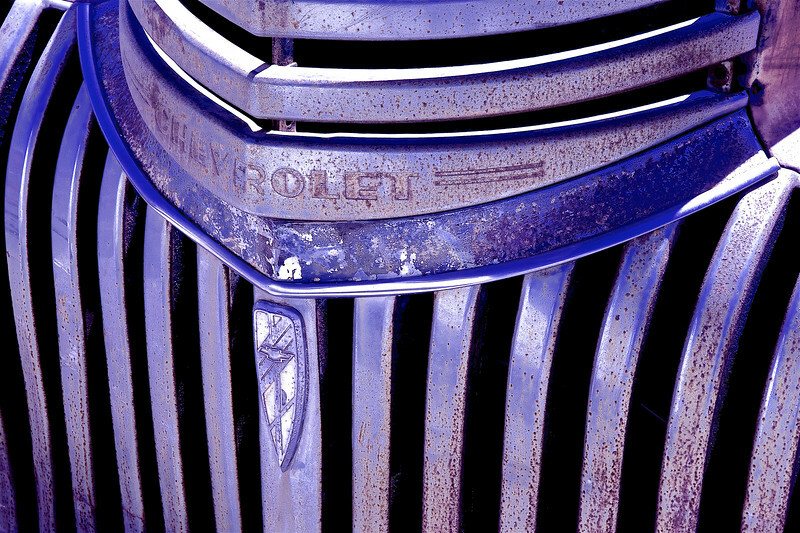 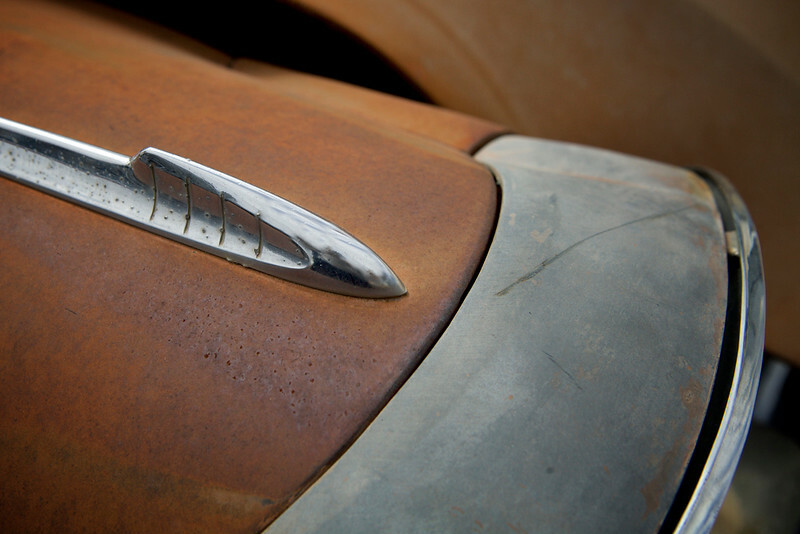 Ford's Crown Victoria was a "looker" and the bold chrome "check mark" is one of its distinguishing feature!